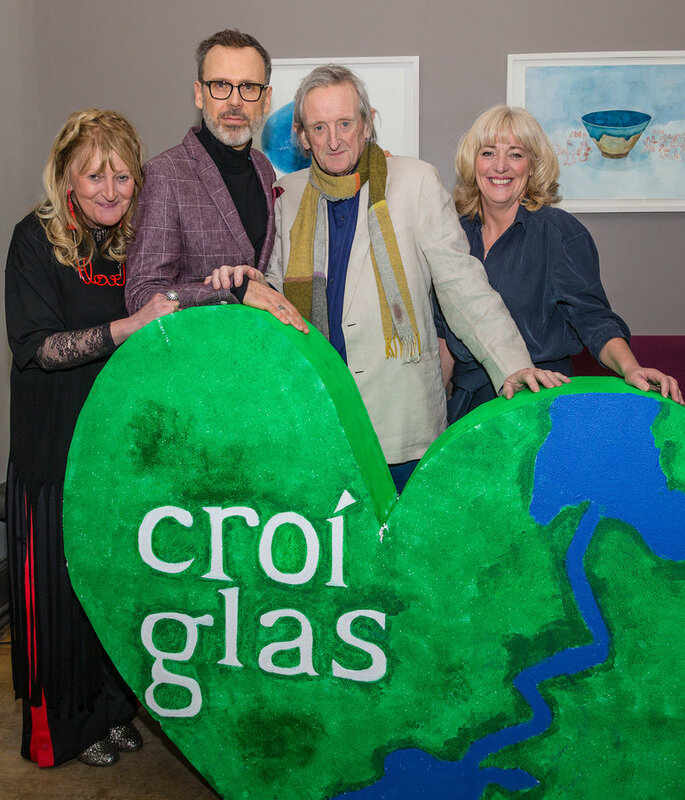 Home / art / Croí Glas launch celebrates the River Shannon in all her glory! At the official Croí Glas launch at the Hunt Museum – Colman Byrne, Limerick Open Navigation, Helen O Donnell, Limerick Tidy Towns, filmmaker Namu Desai, musician Moley O Súilleabháin, Richard Lynch and Anna Gibson Steel, Croí Glas, publicist Niamh O’Carroll, Nóirín Ní Riain, Croí Glas, Marian Hurley, Deputy Mayor Limerick City and County, Rugby legend Peter Clohessy (front) and Elisa O’Donovan of Swimable Limerick (back). Picture: Dolf Patijn/ilovelimerick. 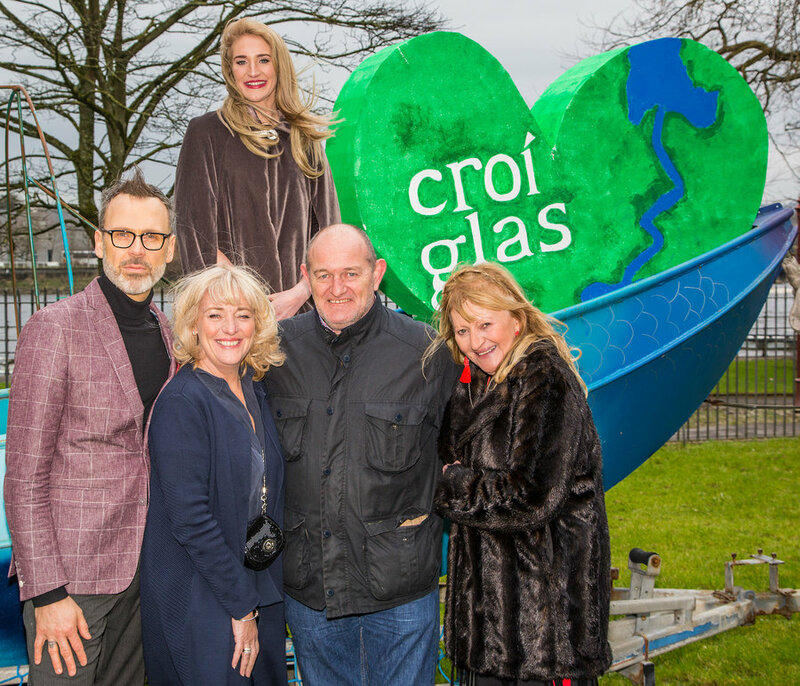 Croí Glas is a new Limerick-based initiative that celebrates and creates positive energy around the River Shannon and invites everyone to get involved. The Croí Glas launch and first official Croí Glas event, ‘Listen to the River’ was held over St. Patrick’s weekend. 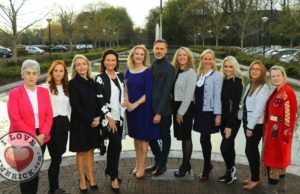 The project first came about when Irish sacred singer, Dr. Nóirín Ní Riain and Holistic Practitioner, Anna Gibson Steel decided they wanted to do something positive around the river and approached Richard Lynch to help them develop their idea. Richard agreed that the project would greatly benefit and change people’s perception of the River Shannon, and suggested that the team use aspects such as arts and culture as a way of encouraging people to express their love of the Shannon. 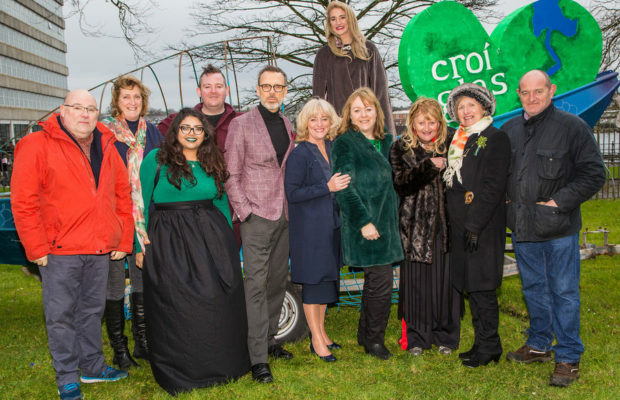 This past weekend Croí Glas held their official launch at the Hunt Museum on St. Patricks Day with guest of honour composer Mícheál Ó Súilleabháin followed by musical performances by Moley Ó Súilleabháin, Owen Ó Súilleabháin and Dr. Nóirín Ní Riain. Their float at the parade featured Elisa O’Donovan of Swimable Limerick on a Salmon Boat playing the Goddess Sionna, who gave her name to the River Shannon. At the Croí Glas launch at the Hunt Museum – Nóirín Ní Riain, Richard Lynch and Anna Gibson Steel of Croí Glas with Irish composer Mícheál Ó Súilleabháin (second from right) who was the guest of honour at the event. Picture: Dolf Patijn/ilovelimerick. Speaking at the official press launch on Saturday, guest speaker, and musician Micheál Ó Súilleaháin shared his own wisdom of the River Shannon and described the river as Ireland’s “cultural spine” which touches all four provinces. He reflected on the thousands of years of stories the river held before us and spoke of the first stories of the Shannon dating back to around 800 years ago, noting the “powerfulness” of people referencing the poem named ‘How the River Shannon got its name’. Theatre practitioner Ann Blake produced an event where the Goddess Sionna was returned to the River Shannon surrounded by three watercrafts created by Limerick City Build especially for the event, with one of the craft transporting the famous uilleann pipe player, Mickey Dunne. On the opposite banks of the Shannon, the event was celebrated musically with Dr Noírín Ní Riain on one side and Owen and Moley Ó Súilleabháin on the other. The Croí Glas logo was unveiled in spectacular fashion by fly-boarders flying above the river. 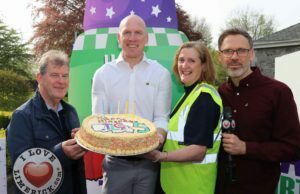 At the official launch of Croí Glas at the Hunt Museum – Richard Lynch and Anna Gibson Steel of Croí Glas with Rugby legend Peter Clohessy and Nóirín Ní Riain, Croí Glas (front) and Elisa O’Donovan of Swimable Limerick (back). Picture: Dolf Patijn/ilovelimerick. 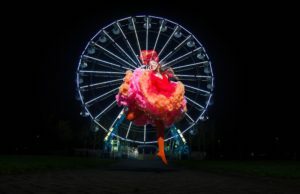 The public is invited to create their own events inspired by the Shannon and register them on the Croi Glas website so they can be shared with the wider community. In this way, all of us will be on the same page and work together in celebration of the Shannon. For more stories on Croí Glas go here. For more information on Croí Glas go here.